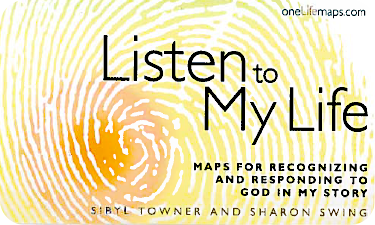 Listen to My Life is a unique visual tool that helps you invite God into the process of reviewing your past, assessing your present and continuing to walk with God in your future. It helps you to explore the implications of the truth that God creates you for a purpose, and your life is most fully and joyfully lived under God's direction and guidance. Spending time together in silence is a rich way to experience God and be a witness to His presence in others. These retreats are not places to work at being quiet, rather they are places that we are invited to join in the silence that already is in order to spend time with God. These retreats are a place to experience rest and renewal and keep company with God. Drop by anytime between 9:00 – Noon. There will be stations for self-guided reflection and space to encounter God, however He may be calling you. Small Group Bible Studies provide a safe and supportive environment in which to learn about, grow and exercise your understanding of God. Groups provide a way to form meaningful friendships within God’s kingdom. There are a variety of groups available for men, women and combined. Let us know if you are interested in finding a group for you. Email jenny@hillsidecovenant.org for more information about these groups! Young Couples - meets in Lafayette on a Saturday/Sunday rotation. A mentor is someone who has been invited by another person to listen and help them be attentive and responsive to God working in their life. Being a mentor is an exciting adventure and one in which both participants grow and are challenged. You could have the amazing privilege of walking alongside another person as they seek to see where God is working in their life. Spiritual direction is a ministry of listening, discernment and prayer in a confidential setting of encouragement and compassion. Through this ministry one finds a spiritual companion who can listen to the stories of your life and help discern the presence and work of God's Spirit. This companion intentionally sets aside the concerns of his or her own life to listen and attend to the experience of God in the life of the other. Friday before Thanksgiving: In preparation for our students’ trip to Mexico. Good Friday: Between the end of the Good Friday Service and Easter Vigil Baptism in preparation for the wonder of Easter. Pentecost: To remind us of the Holy Spirit’s power and presence within us. This downloadable brochure can help you identify the ways you are uniquely made so you can see what tools may fit your needs. Prayer requests can be submitted to Hillside by using the form below. These requests will be prayed over on Monday mornings and sent through the email prayer chain to be prayed over through the week. Requests marked confidential will be prayed for by our Pastoral Staff. If you would like to join our email prayer chain to pray with us for the needs of the church please email michele@hillsidecovenant.org to be added to the list.